I have no idea where this week has gone; I always think the worst thing about winter is leaving for work and coming home in the dark. It feels like by the time dinner is done and dusted, I just want to have the lights turned low and the flat nice and cosy, which means that really the only craft I do on weekday evenings at the moment is crochet, as I don’t need good light for it. Anyway, there has definitely been a touch of light in the sky the past couple of days, so onwards and upwards. I was so pleased with my dress, I decided to make another one. 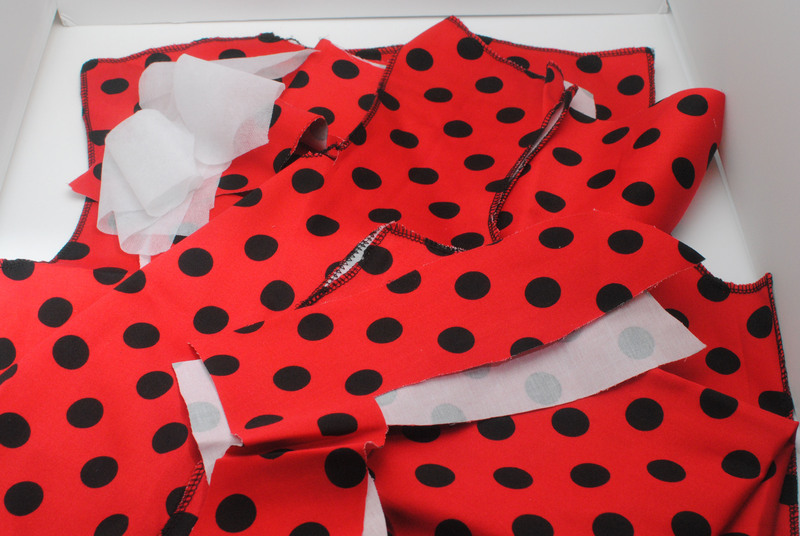 I chose this black and red polka-dot fabric because it reminded me of Sevilla, and we all know just how much I love that place! 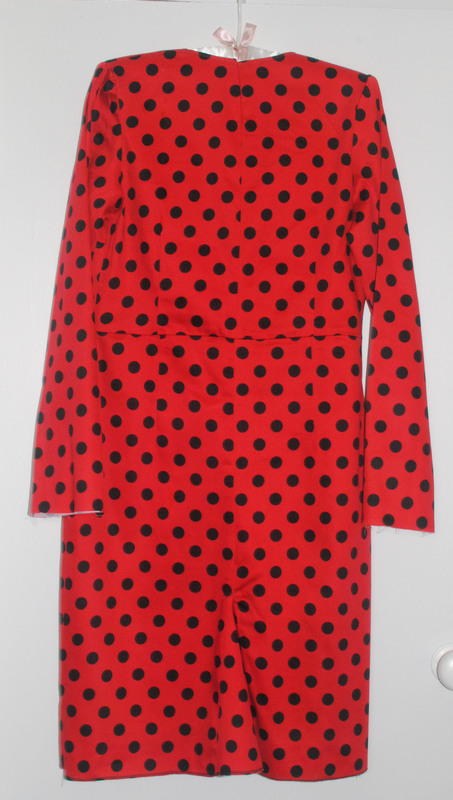 Again, I decided to slightly slim the skirt, add a godet, and lengthen the sleeves. I’ll admit I hate my arms, so I much prefer to keep the covered. I’m happy enough to do that because I do love some fancy sleeve detail, as you’ll see in my next dressmaking project. As I used a stretch cotton, I decided not to bother with lining it, as didn’t want either the dress sagging over the lining or the lining bulking under the dress. It’s always going to be a dress that I wear for a few hours at a time, and the fabric is a good weight (and I’m lazy), so I don’t think the lack of a lining detracts from the dress, other making it look badly finished when it’s hanging up. Luckily no one sees the inside of it when I’m wearing it. 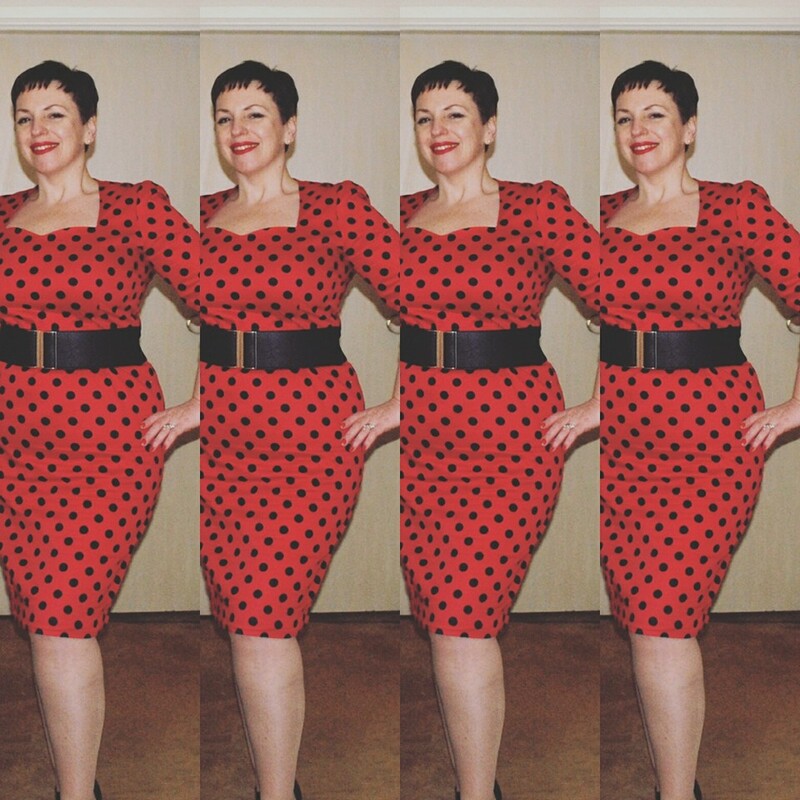 I wore it to a friend’s birthday party at the weekend, styled with black patent tango-style shoes and a waspy belt. I wish my belt had been a bit narrower as I have a really short, high waist, but as usual, I left it to the last minute and couldn’t find one the correct width. I have one on my shopping list now though. Here I am in all finery. Now, I need to make some nice black jewellery to wear with it. I’ll definitely be buying more StyleArc patterns in the future. This one needed barely any alterations, other than the design changes I chose to do. The instructions were great and just seemed to make sense (hahah, if that makes sense!). There are a few I’ll definitely be getting in the next month or so because I definitely have the sewing bug now and appear to have overcome my fear of inadequacy. Until next time, thanks for looking. Absolutely love this dress! And thank you for recommending this patterns, I will have a look at them. 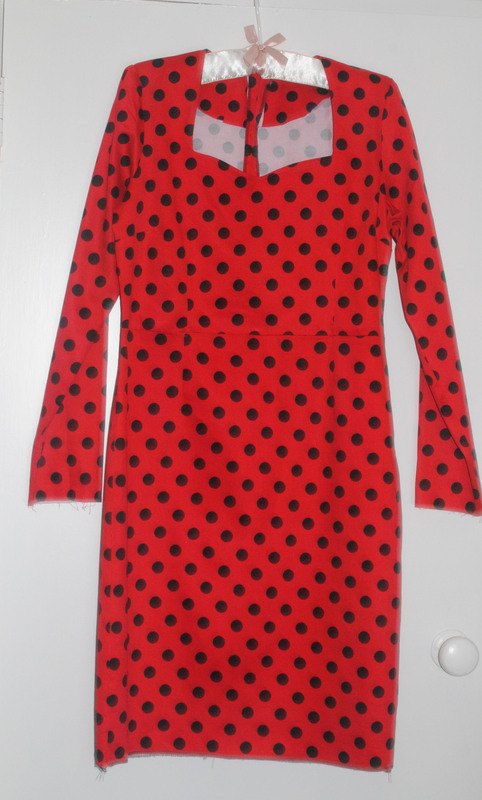 Ages ago when I was doing some dressmaking I used Burda patterns, but all the new ones just don’t inspire me anymore and I was looking for a new dress pattern to get myself into dressmaking again. Thanks Darya. I’m definitely not the most experienced dressmaker, so if I can use them anyone can. I’ve also heard really good things about Lekala patterns but not tried one yet.